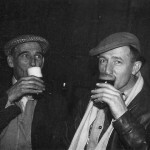 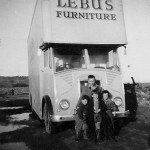 Michael Parsons mentioned the Scottish connections in his article (Driving for Lebus), Glasgow depot, Sid Smith etc, all of these being very familiar to me. 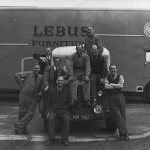 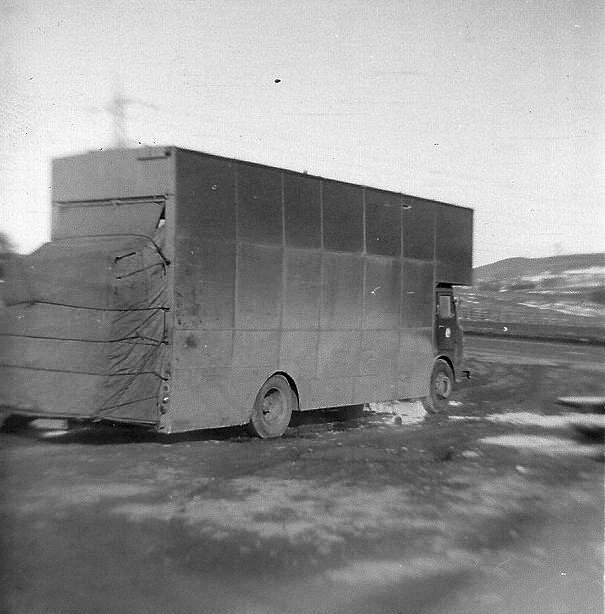 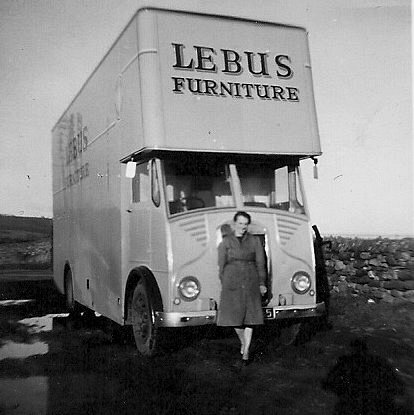 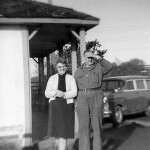 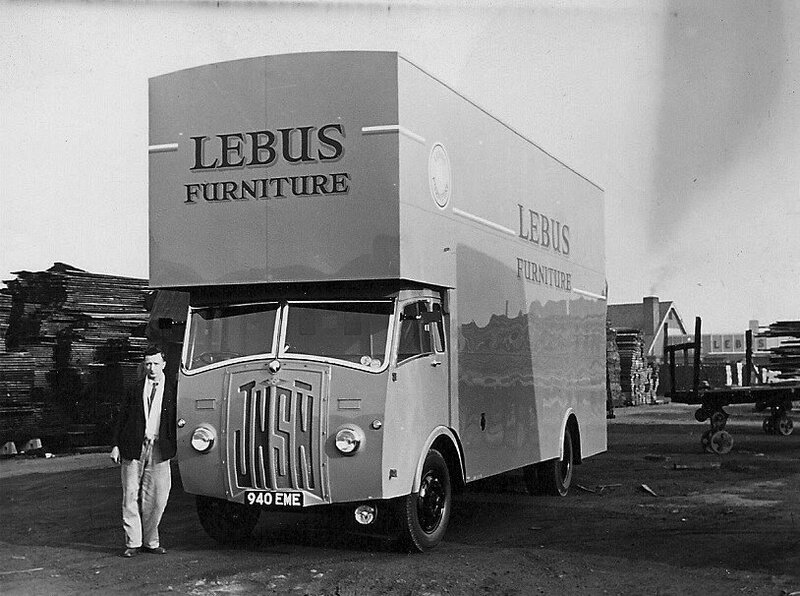 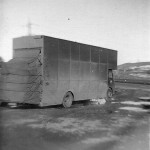 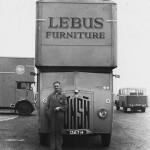 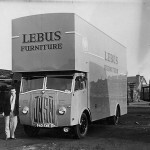 To explain my father Joseph Sloan was a driver with Lebus having moved there from Ralstons of Milngavie. 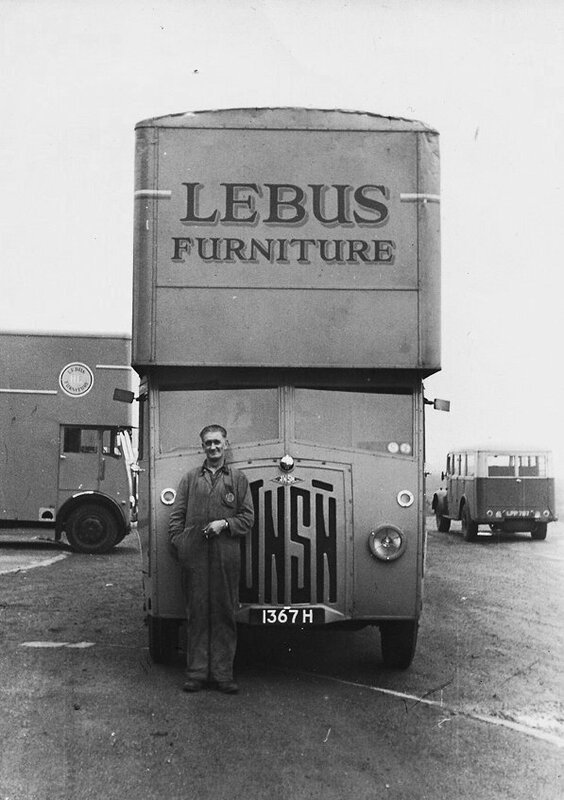 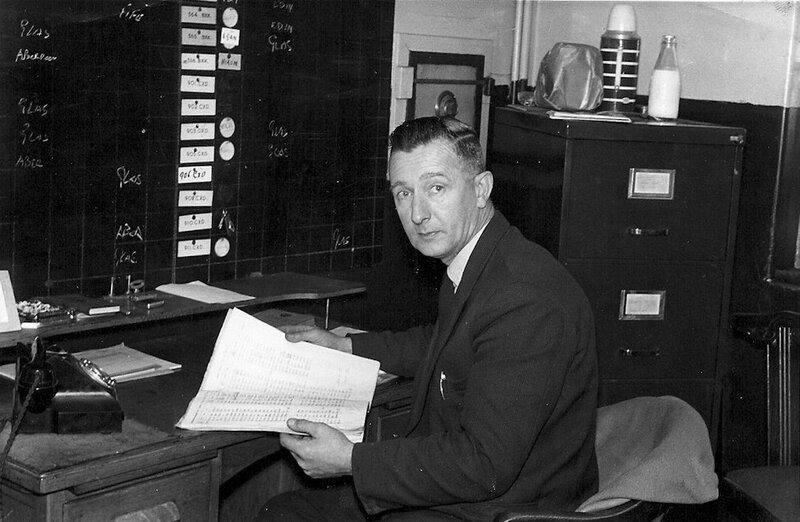 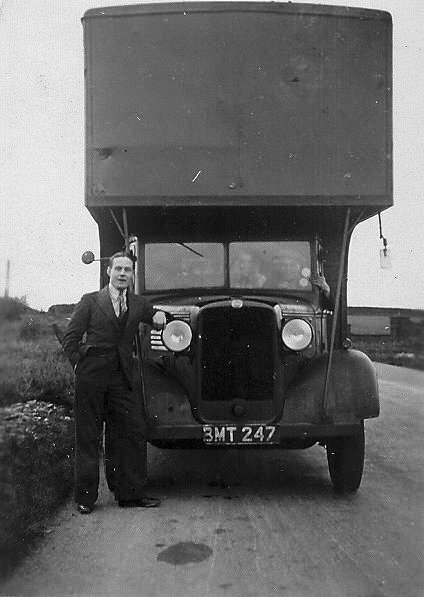 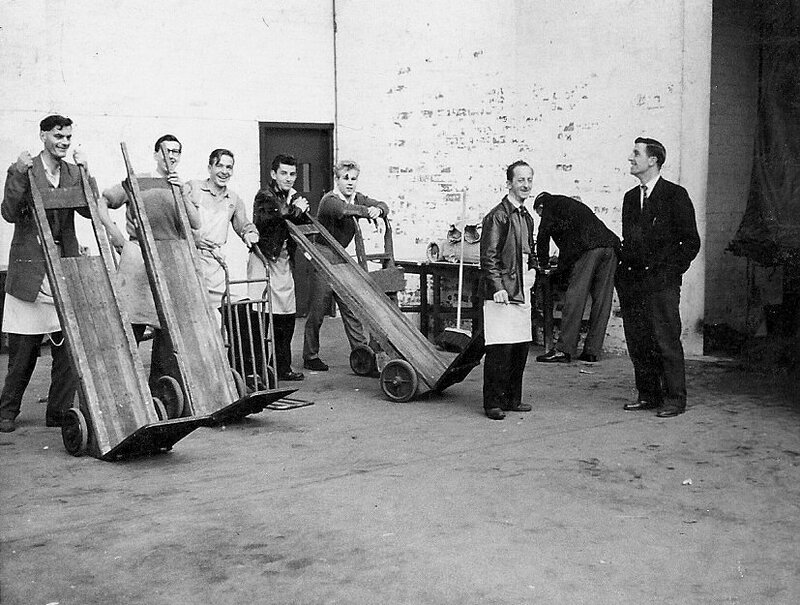 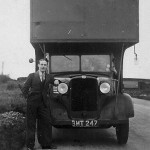 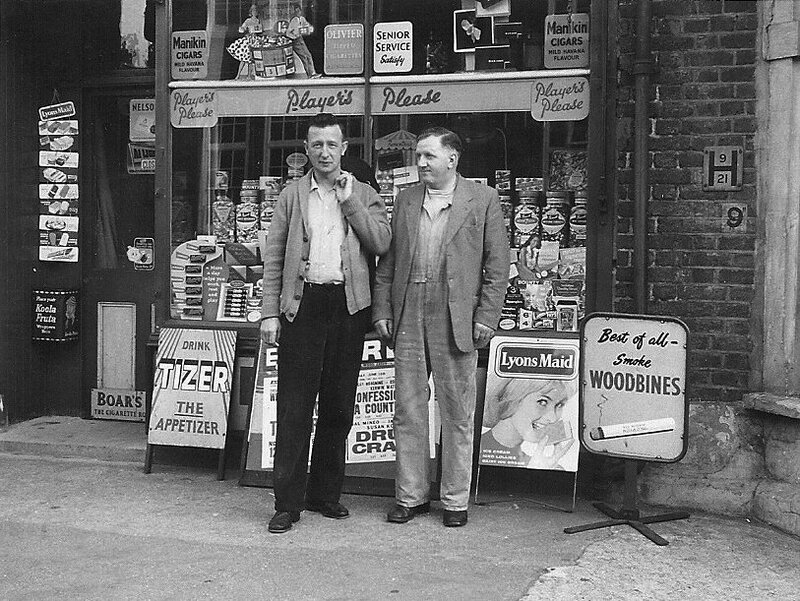 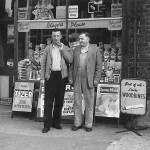 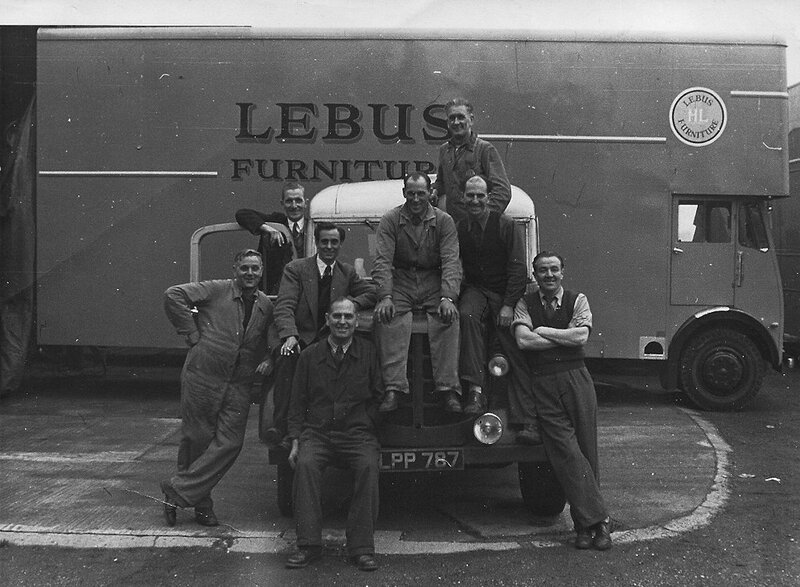 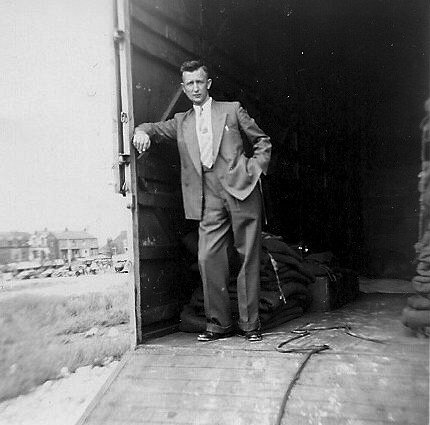 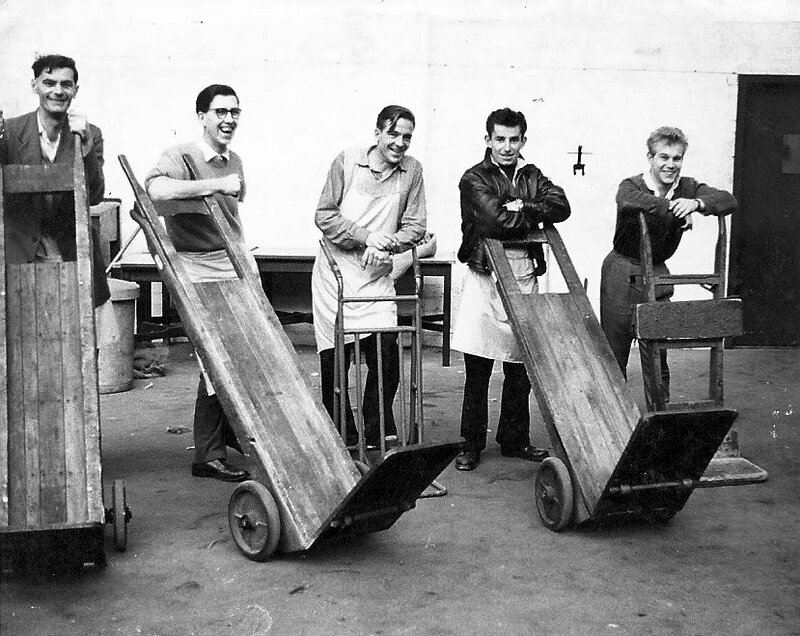 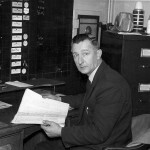 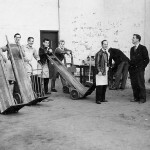 In the very early 1960s we re-located from Penrith to Bellshill when Joe came off the road to take up a staff position in the London Road Depot of Merchandise Transport. My father’s younger brother Jim Sloan was transport manager with Glenroy Transport when Merchandise took them over and they worked together in Glasgow until made redundant in 1971. 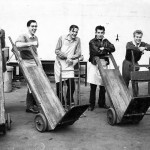 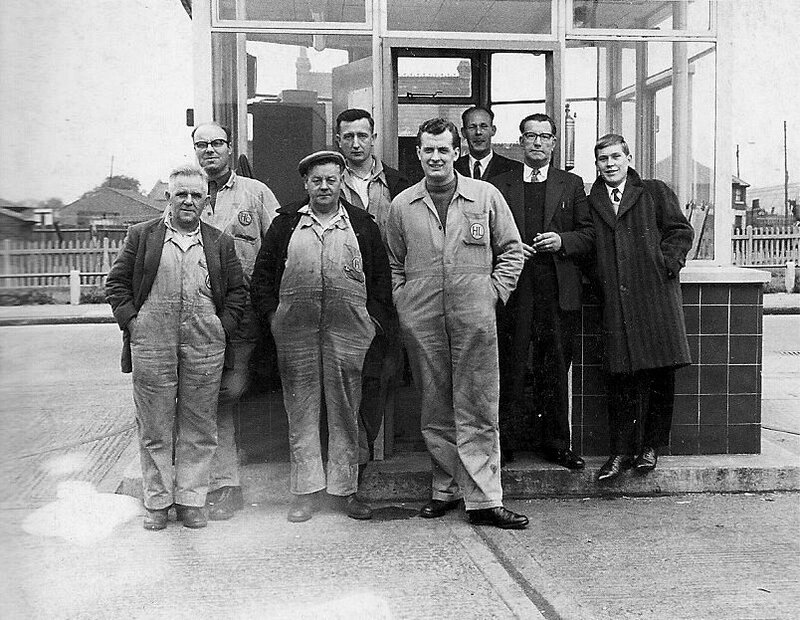 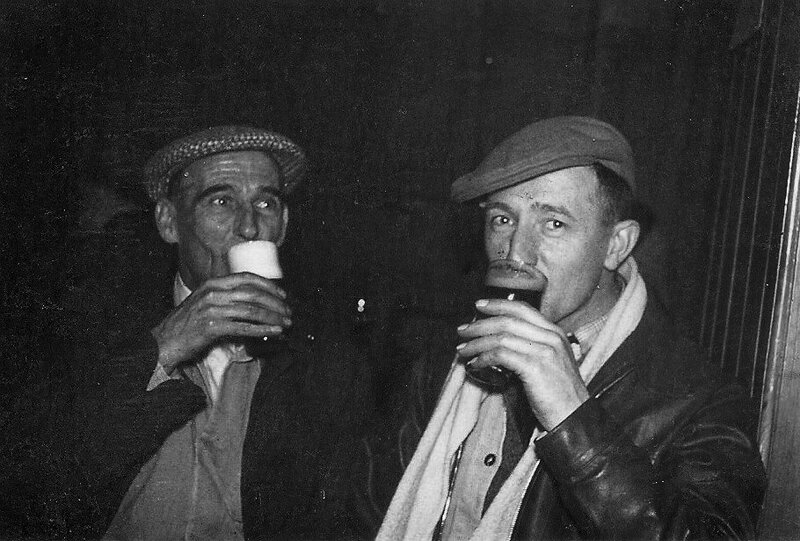 The Glasgow depot was manned by Bill Burns, Joe Sloan, Jim Sloan, Jimmy Stevenson and George Aitchison. 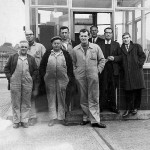 From left to right, Danny Alexander, Eddie Cocurran, Ike McMillan, Joe Sloan, ?, ?, ?, ? 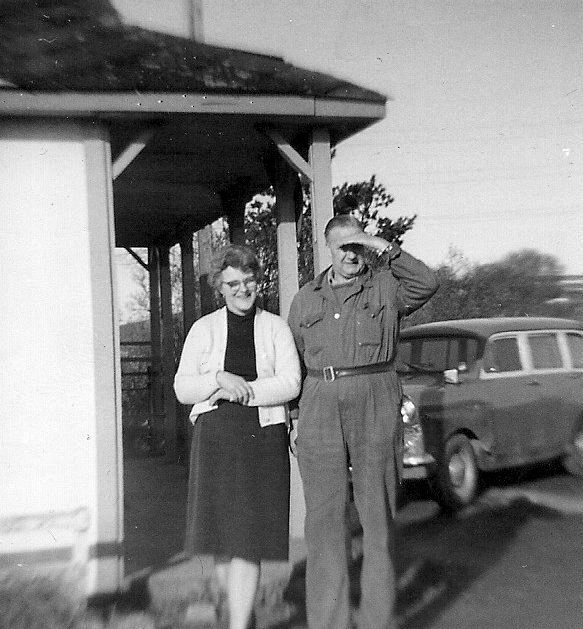 My name is Iris my mother and fathers friends were Joan and Charlie Ivine,Joan and her sisters ran the Beacon cafe in Penrith in the 80s,when in the summer school holidays we would spent time there play in the farmers fields amongst the shieths of corn hide and seek.Charlie worked for Ralstons then Lebus.He would stay with us when in London also his son Bob did when he got a job in London.I remember the sisters Margeret,Joan and Marge ran the Beacon cafe I used to help Marge make the meat pleas which were a great hit with the drivers.What great guys they all were.I would love to know if the Beacon cafe is still there and what has happened to all the people we new, only my sister Joan and I are left so I hope I’m not being nuisance.